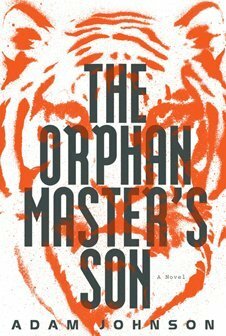 Author Adam Johnson has won the Pulitzer Prize for fiction for his novel based in North Korea, The Orphan Master’s Son. In 2012, judges failed to select a winner of the award for fiction for the first time in 35 years. Adam Johnson, who teaches creative writing at Stanford University, spent time in North Korea to research his book. “I wanted to give a picture of what it was like to be an ordinary person in North Korea,” said Adam Johnson. “It’s illegal there for citizens to interact with foreigners, so the only way I could really get to know these people was through my imagination,” he added. Pulitzer judges praised Adam Johnson’s book as “an exquisitely crafted novel that carries the reader on an adventuresome journey into the depths of totalitarian North Korea and into the most intimate spaces of the human heart”. Other books in contention were, What We Talk About When We Talk About Anne Frank, by Nathan Englander and The Snow Child, by Eowyn Ivey. Sharon Old’s Stag’s Leap won the poetry award. Tom Reiss’ biography of French aristocrat Alex Dumas, The Black Count: Glory, Revolution, Betrayal, and the Real Count of Monte Cristo, won the Pulitzer Prize for biography. The prize for general non-fiction was awarded to Gilbert King for Devil in the Grove: Thurgood Marshall, the Groveland Boys and the Dawn of a New America, which details racial injustice in Florida in 1949. The New York Times won four awards including two awards for its reporting on Apple and Wal-Mart overseas, and another for an examination of the hidden wealth of the Chinese premier’s family. Caroline Shaw, 30-year-old violinist and vocalist, won the $10,000 Pulitzer Prize for music.